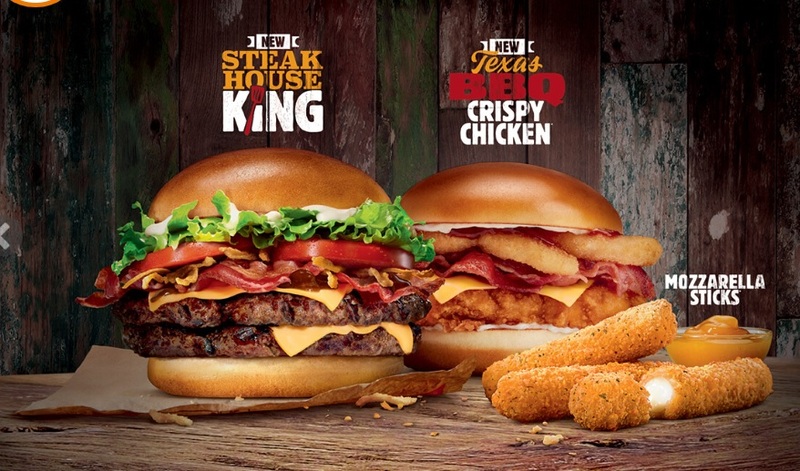 Finally, the Steakhouse King is now available at the branch that just last week claimed “we don’t have it, we haven’t heard of it, it must be a BK PLC thing”. I deliberately made a point of going back to the same place and despite there being only one tired member of staff working the counter (making a quiet restaurant seem busy with the waiting), I wasn’t disappointed. 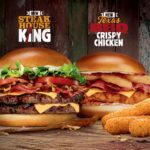 Burger King promos are now creeping up to the £10 mark for a regular meal which is pricey for what it is, and more importantly for what it competes with. 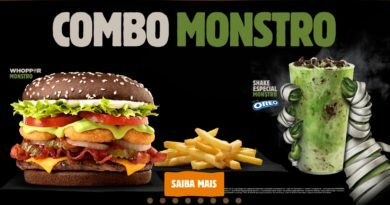 If not for the King of the Day items and a handful of cheaper things, I’d almost go as far as saying Burger King is no longer a value option. Especially when, in this case, a stay-in meal doesn’t even come on a tray. No touchscreen ordering, no table service, and a meal served in a takeaway bag. That isn’t very impressive. 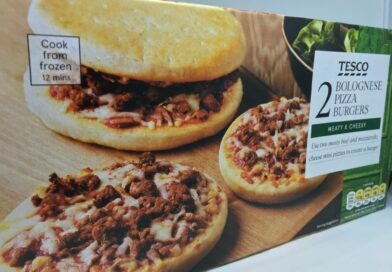 And nor was the packaging of the burger itself. 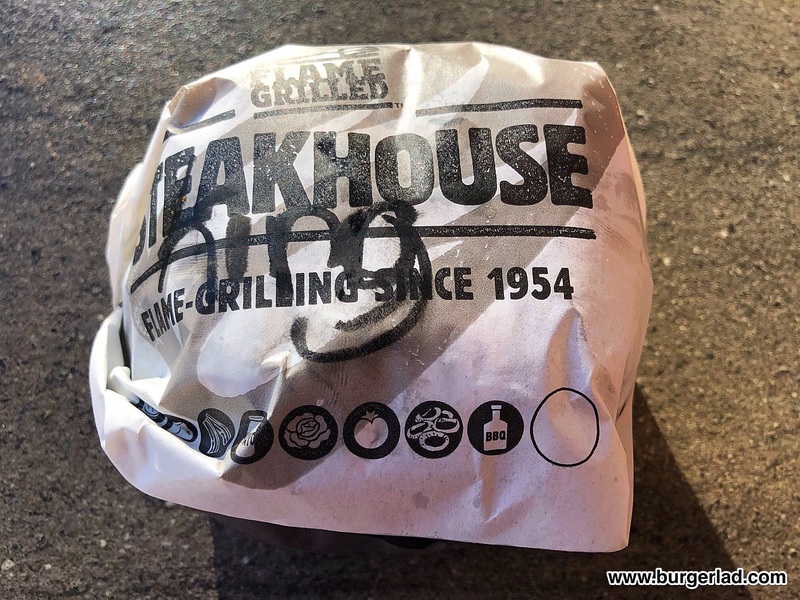 A standard generic Steakhouse wrap, with the word “King” scribbled in black marker. It’s not cheap, and it’s definitely not classy. So, null points so far, will the burger itself rescue the experience? 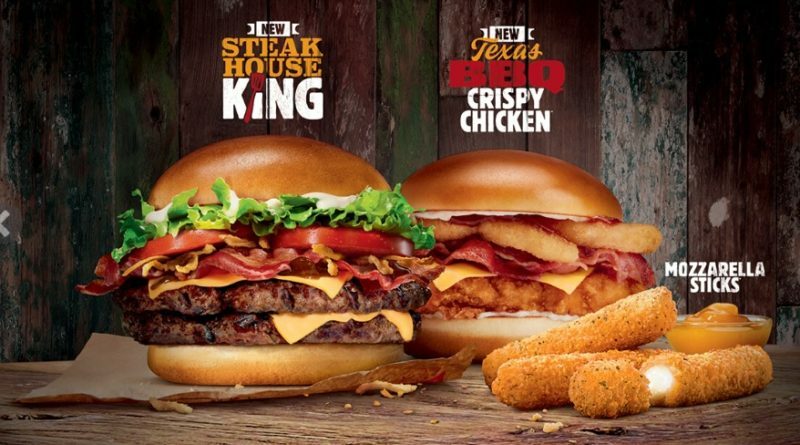 I hope so – I used to love BK but these days it really does feel like it’s slipping behind the competition (for the avoidance of doubt that is KFC and McDonald’s in this country). Coke Freestyle machines alone simply aren’t enough to prevent that feeling, and even the erstwhile creativity of their limited promotions seems to have gone. 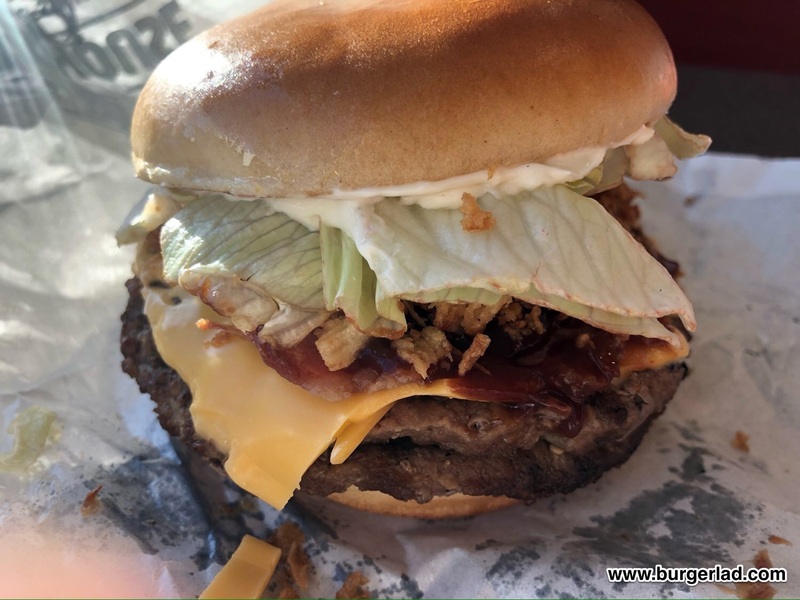 The Steakhouse King is nothing more than a double Steakhouse in a different bun (brioche, instead of corn-dusted). 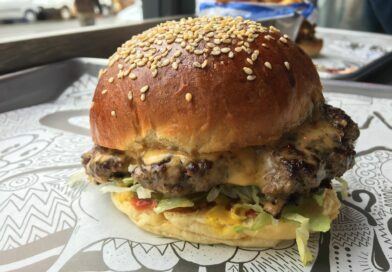 It’s big, right enough and Burger Lad® and I both agree that the Steakhouse is one of the better high street offerings. So, the Steakhouse King ought to be good. And it is. It’s not the most exciting and it doesn’t win any prizes for innovation, but it’s good. I like the corn-dusted bun of the regular Steakhouse, so I’m not sure why they’ve opted for a rather dull but serviceable brioche in this case. Some people may like it I suppose – perhaps lifestyle hackers have discovered it’s easier to balance on one’s head while combing a long beard or whatever. 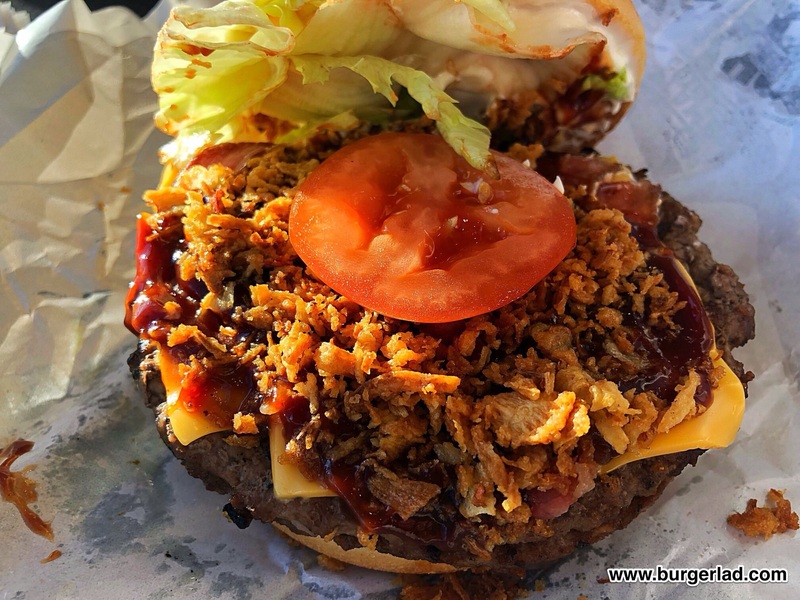 You have a lot of ingredients here – beef, bacon, crispy onions, cheese, mayo, BBQ sauce, tomatoes. 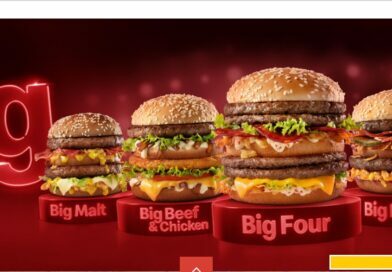 In my case, the build was pretty true to the marketing pics, which is impressive given the relative complexity. Lots of crispy onion and only one piece of tomato (the promo pic has two), but less tomato = happy Admiral so I ain’t complaining. 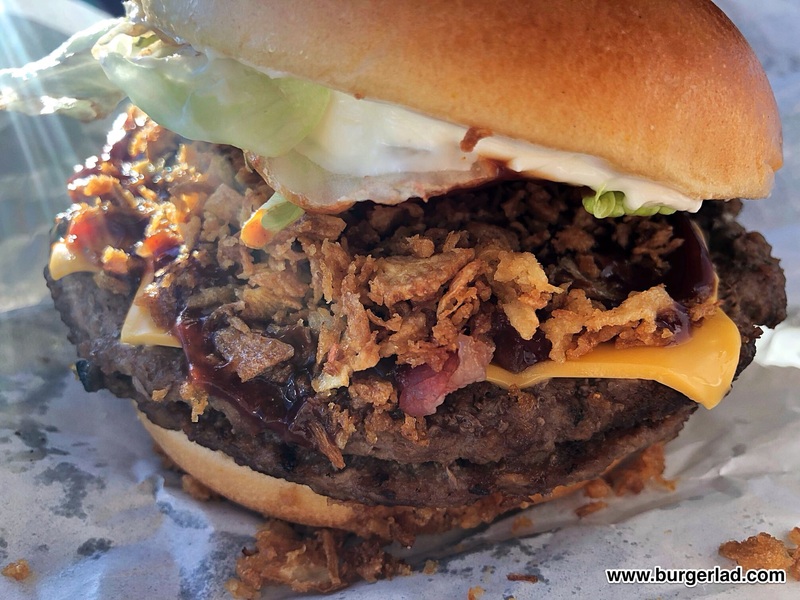 Lots of crispy onions really stand out in this and are probably the main ingredient. I love them. A lot. And while they stand out, the BBQ sauce does not. That is also a good thing. I have said before that a lot of BBQ sauces are simply too strong and sweet and they overpower rather than complement. But it does its job of keeping the whole thing moist, working with the mayo (which isn’t always a crowd-pleaser, is it Miss Milkshake, but in this case has been applied conservatively). 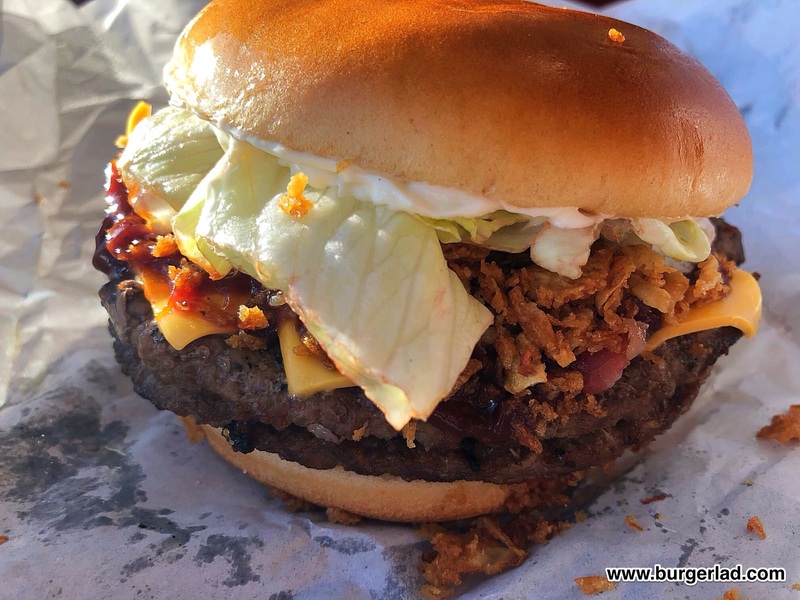 There is a little too much lettuce I’d say, but I’d rather have that than the tomato. 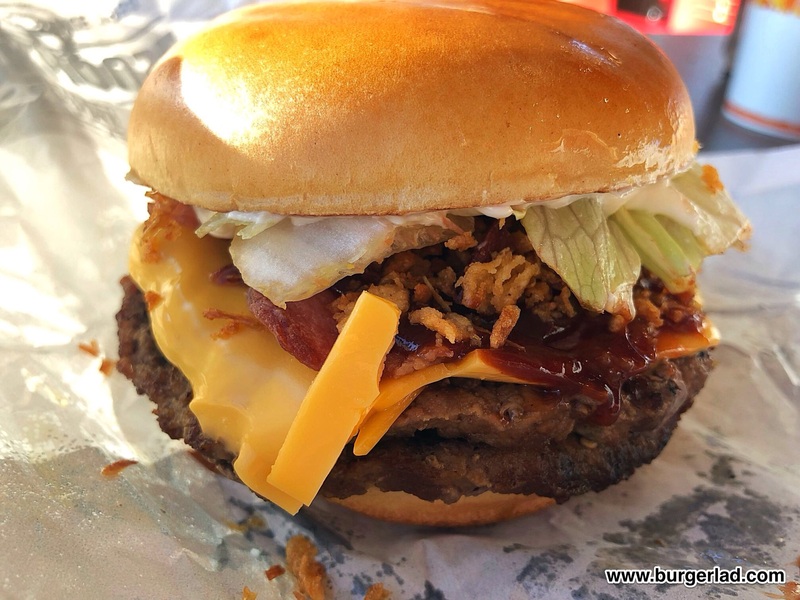 And besides that seemingly endless list of ingredients, what you have is a decent bacon double cheeseburger. For me it’s those onions that sets this apart. 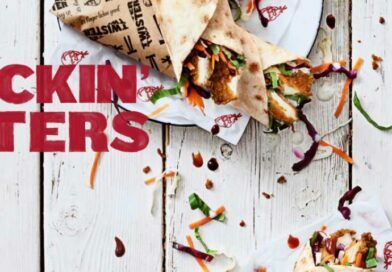 No different to the Steakhouse there, and I would consider the latter arguably better all-round as it is priced more keenly, has a better bun and obviously a lower calorie count. As much as I enjoyed the Steakhouse King, it just isn’t something I can get excited about. A slight amendment to a standard menu item is a lazy promotion. 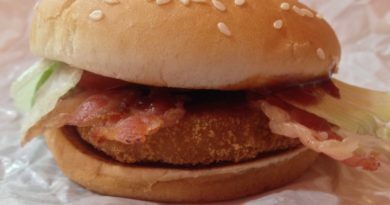 Come on BK, bring back the creativity – we miss it. Give us something NEW. I’m really glad you mentioned the pricing. 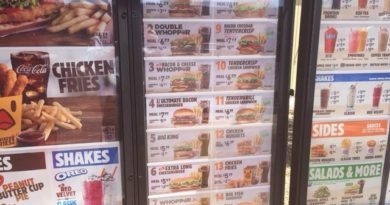 Burger King is becoming ludicrously expensive.